Hi everyone! 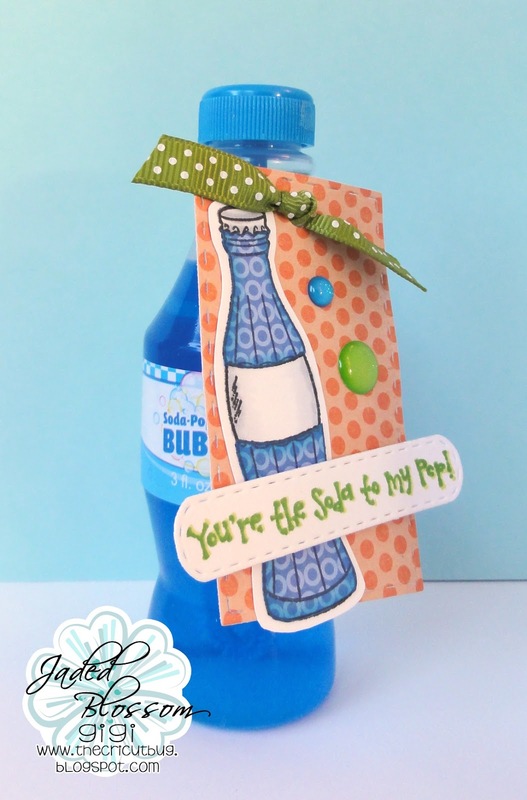 This is GiGi from The Cricut Bug and I have a fun set of Soda Pop Bubbles to share. These would be super fun to hand out to kids on a hot summer day. 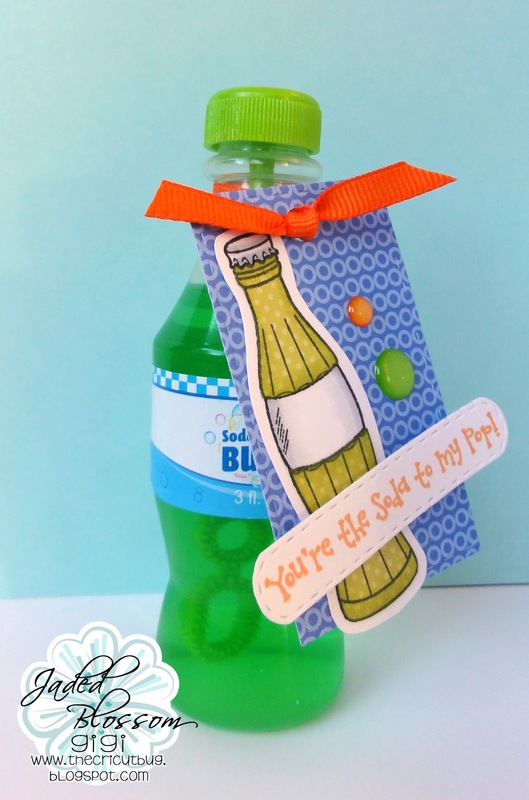 I found these fun Soda Pop themed bubbles at the local Dollar Store and created the tags for them. 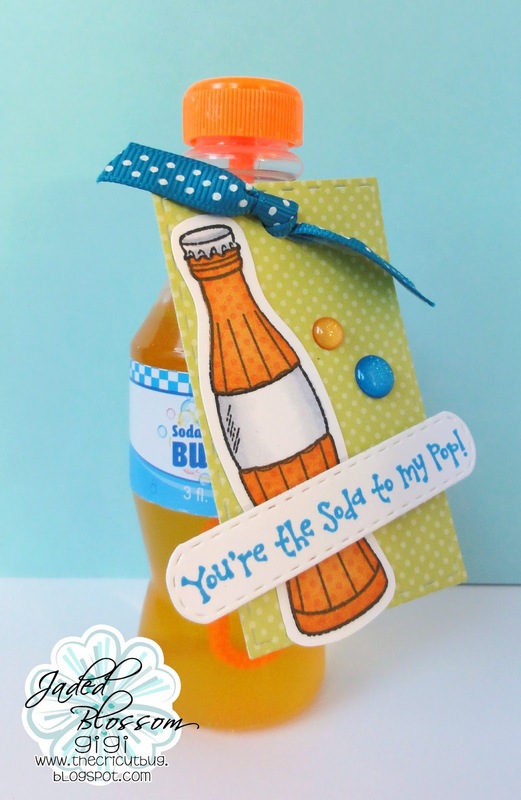 I cut them using the Rectangle Dies 1 and tied them to the bottles with ribbon. I stamped and paper pieced the soda bottles and stamped the sentiments from the Soda-Lightful stamp set. I cut the tags for the sentiments using the Mini Tag Dies 2 and pop dotted them to the tags. 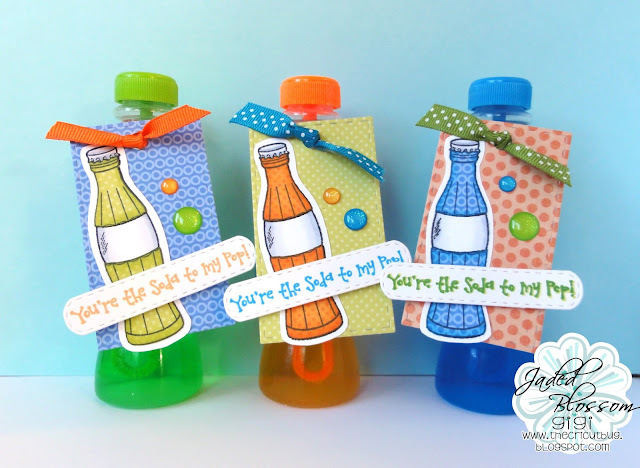 To finish, I added matching colored Doodlebug Sprinkles to the backgrounds. So cool! Great idea, love the bubbles!! These are just too cute. What a fun idea .... awesome job!! Great idea! So cute Gigi! LOVE those colors. So vibrant and fun.